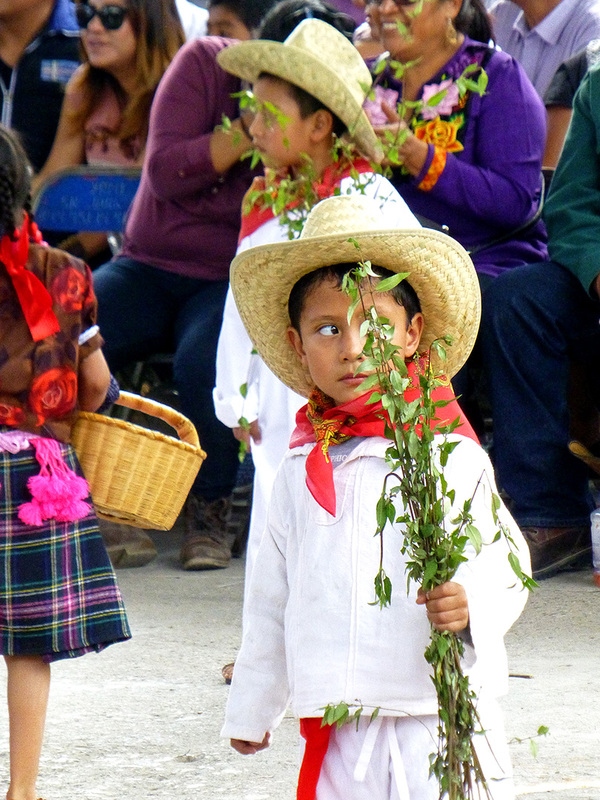 Yesterday took us to San Juan Guelavía for the eighth annual Feria del Carrizo. 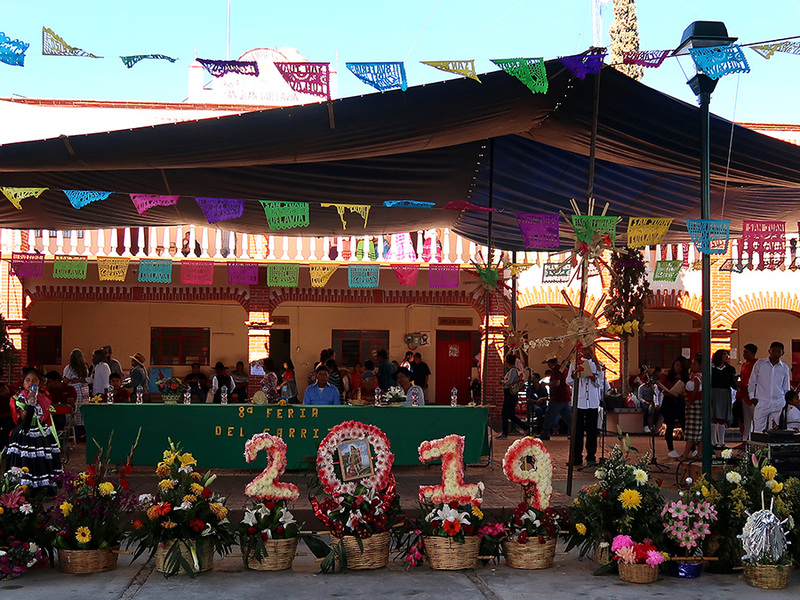 I missed it last year (I was up in el norte) and it was good to be back. 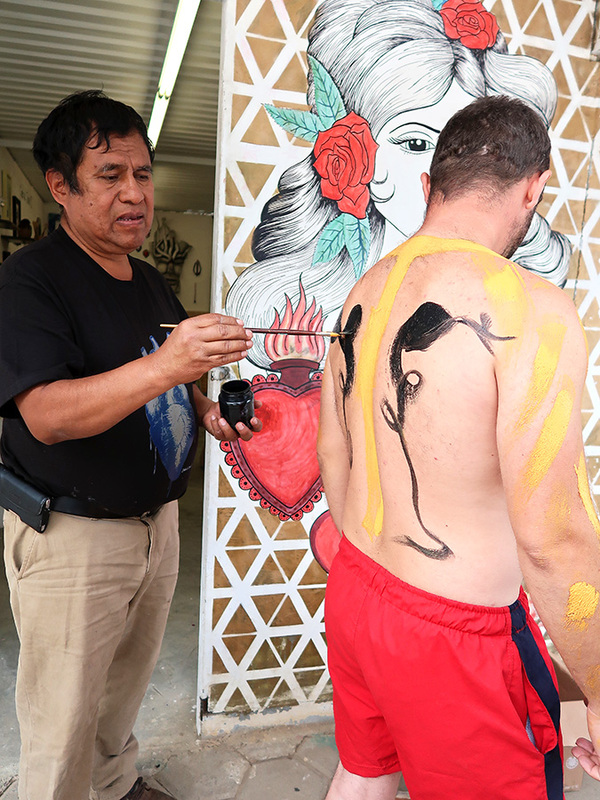 The feria just keeps getting bigger and better and its continued success is good news for the community. 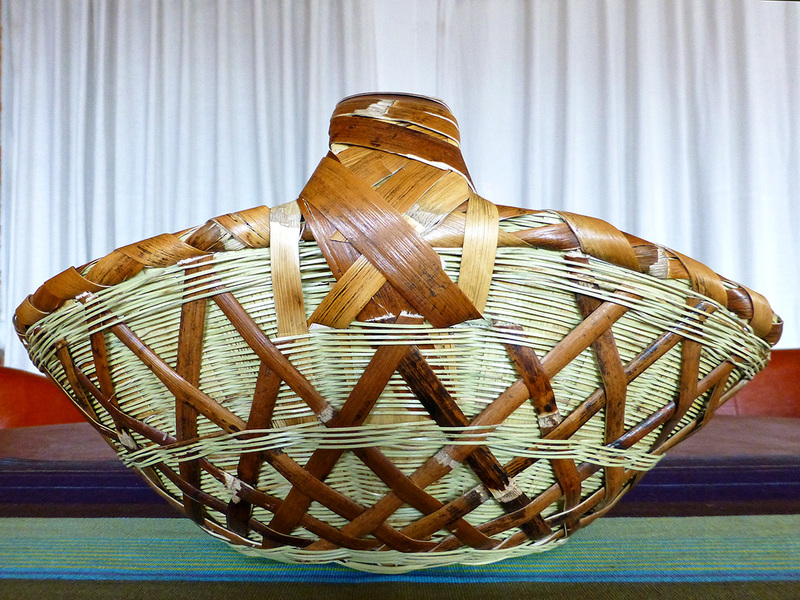 And, I got to reconnect with Teresa Hipolito who wove two lampshades for me in 2015! 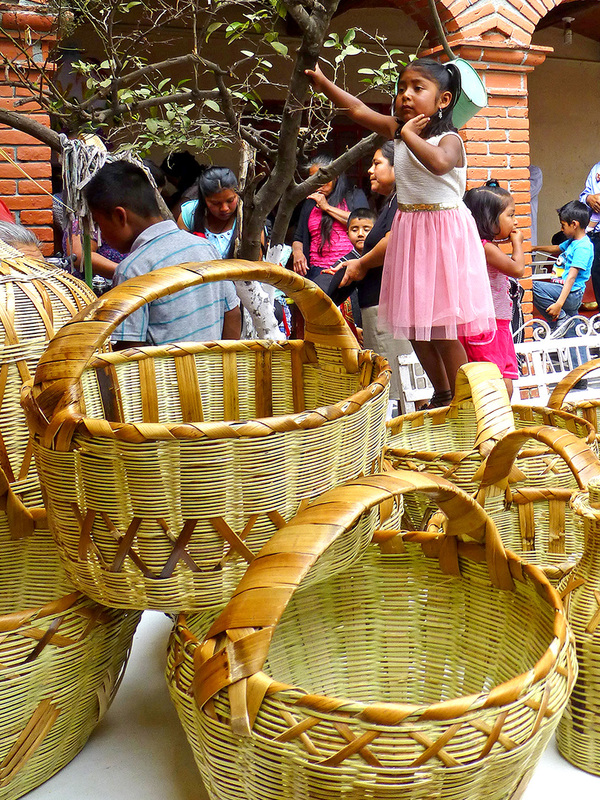 Because plastic baskets have gained popularity as the shopping basket of choice, the village saw a severe decline in the demand for their handcrafted baskets made from carrizo (Arundo donax, Spanish cane, Giant cane, Wild Cane, and Colorado River weed) — a tall perennial cane that grows along river banks in Oaxaca. 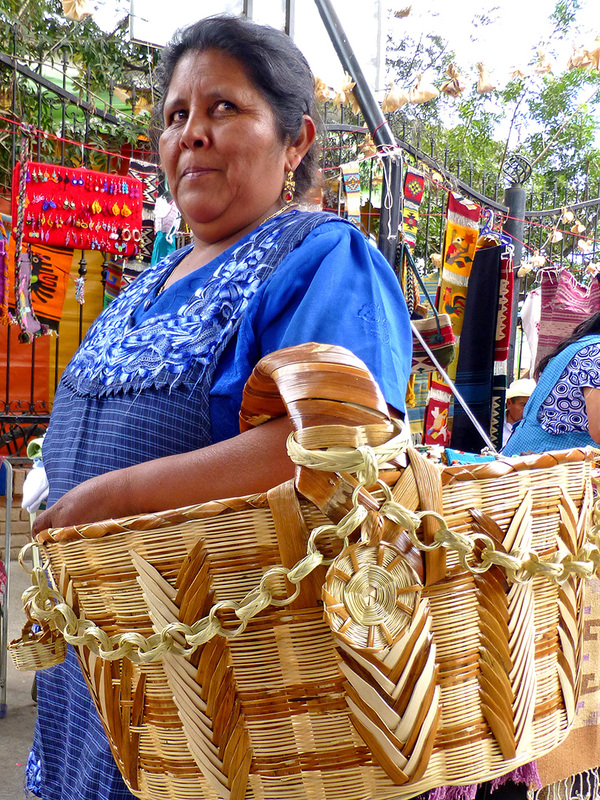 Baskets woven from carrizo have been used as carriers and storage bins since before the Spanish set foot on the soil that became Mexico. 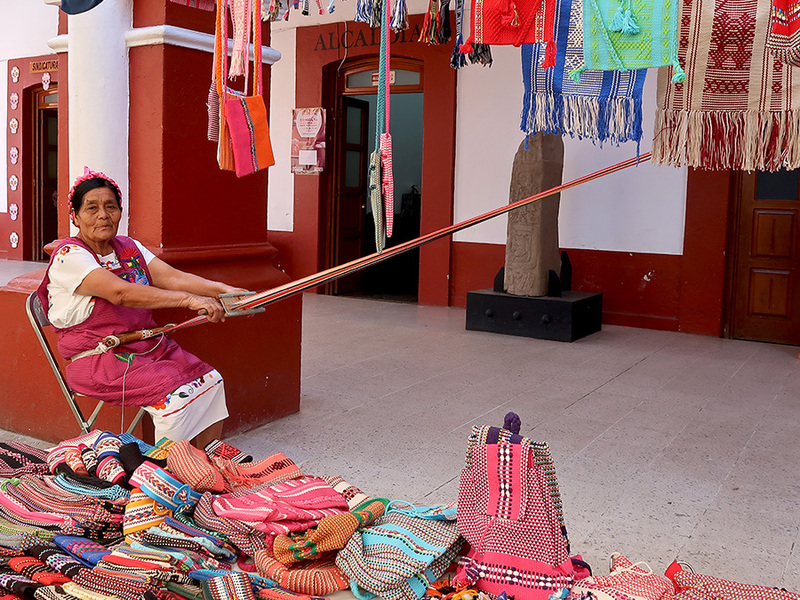 Thus, San Juan Guelavía decided to hold a fair to help rescue the craft of weaving their beautiful and traditionally utilitarian creations from carrizo and give a much-needed boost to the economy. 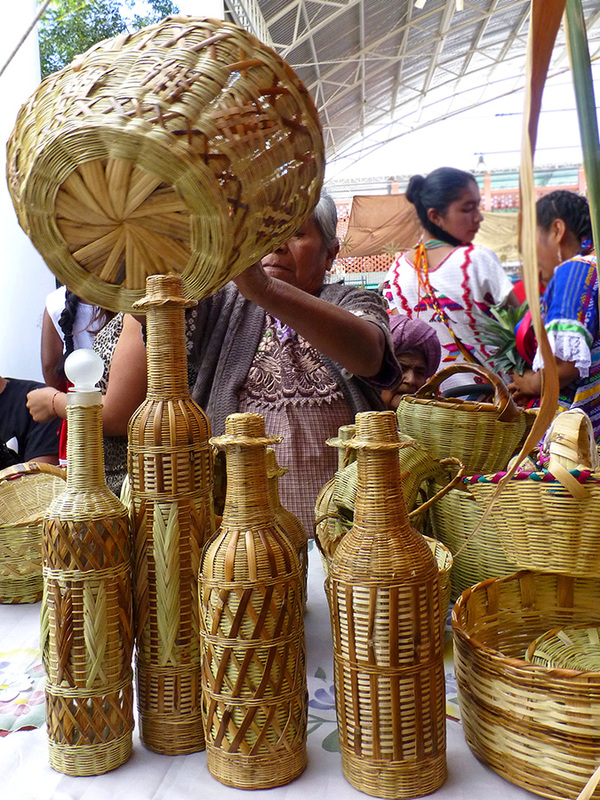 Besides baskets and bird cages, the artisans have branched out to weaving lampshades, decorative bottle covers (they make great gifts, especially when filled with mezcal), fashioning toys, earrings, and much more. … and absolutely adorable children. 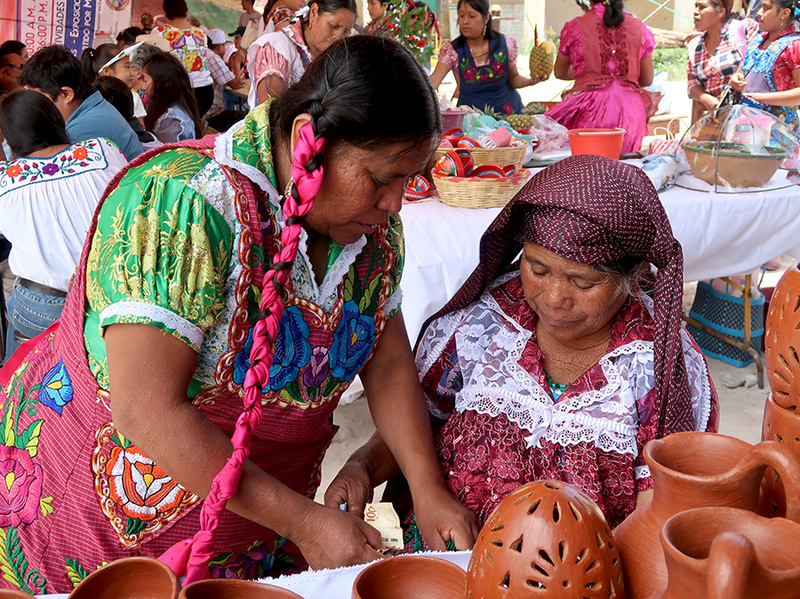 In a village of about three thousand, there are currently about thirty families who work with carrizo — that’s a large percentage of the population! And, the very good news is that the skills and pride are being passed down to the younger generation. 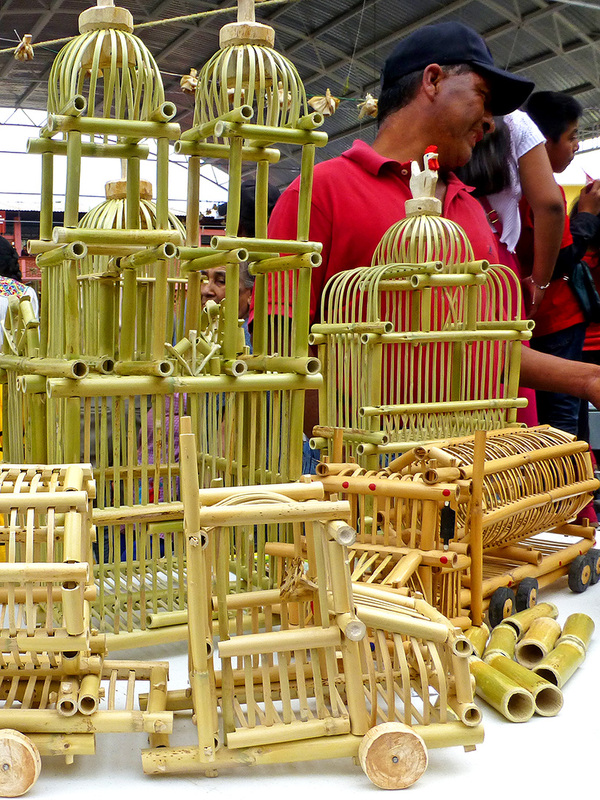 The fair is held the last Sunday of January and the first Sunday of February. 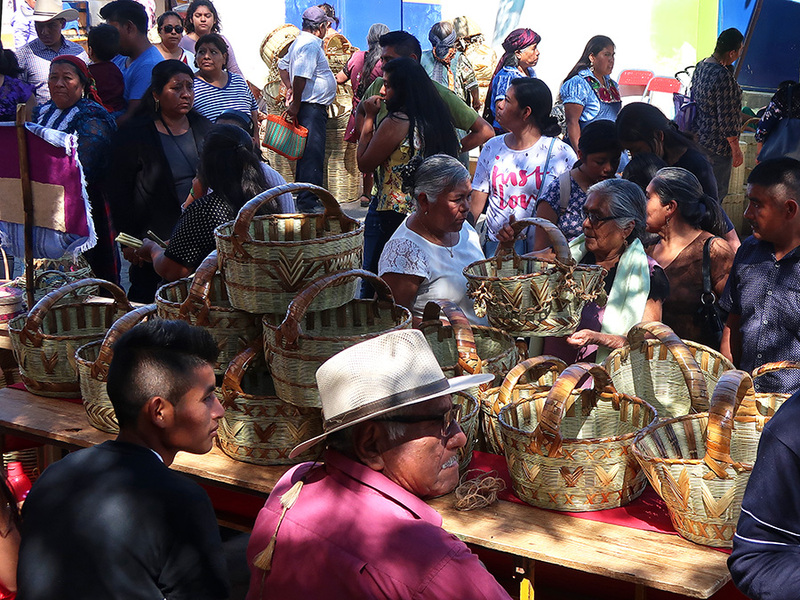 If you missed it yesterday, it is definitely worth a visit next Sunday — perhaps on your way to or from Tlacolula’s weekly market. 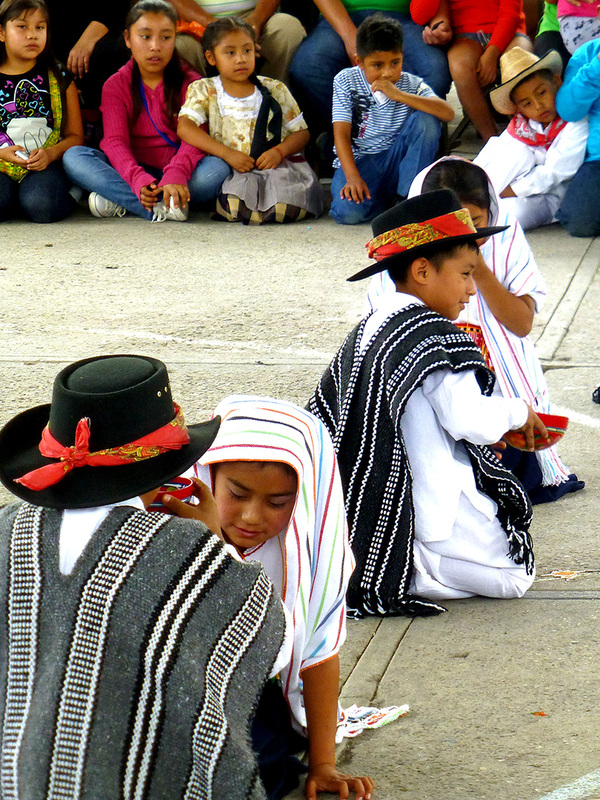 San Juan Guelavía is about 40 minutes east of the city. By the way, there are a couple of workshops along the road that leads into town that are also worth a stop. 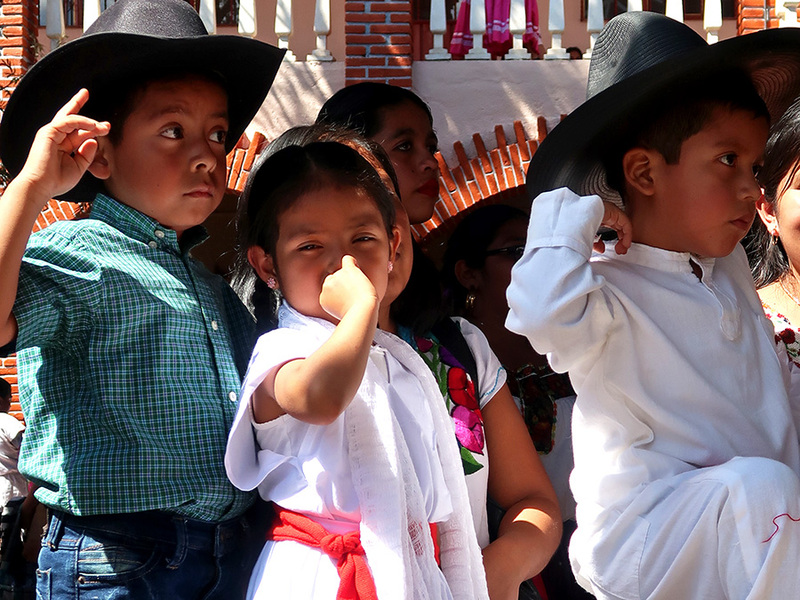 (ps) For more cute kids photos from the feria, see Oaxaca-The Year After. 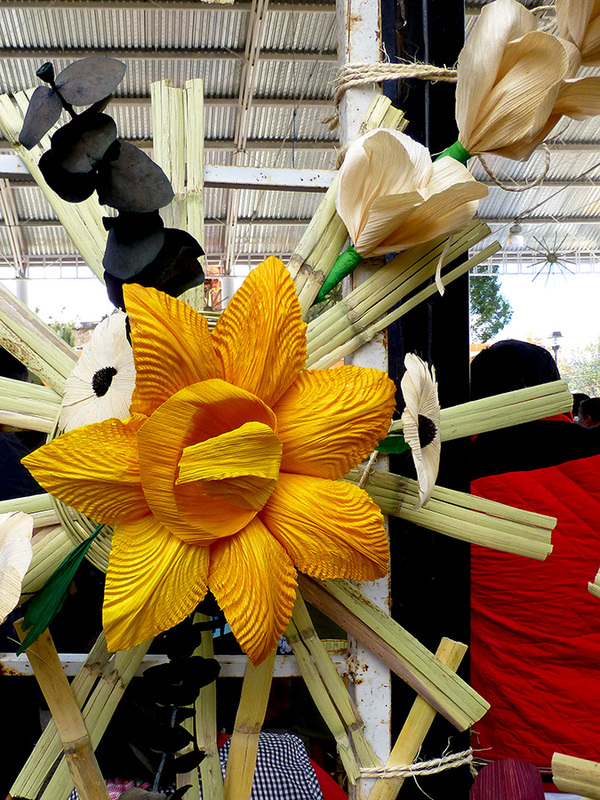 If it’s the end of January into the beginning of February, it must be time for the Feria del Carrizo in San Juan Guelavía. 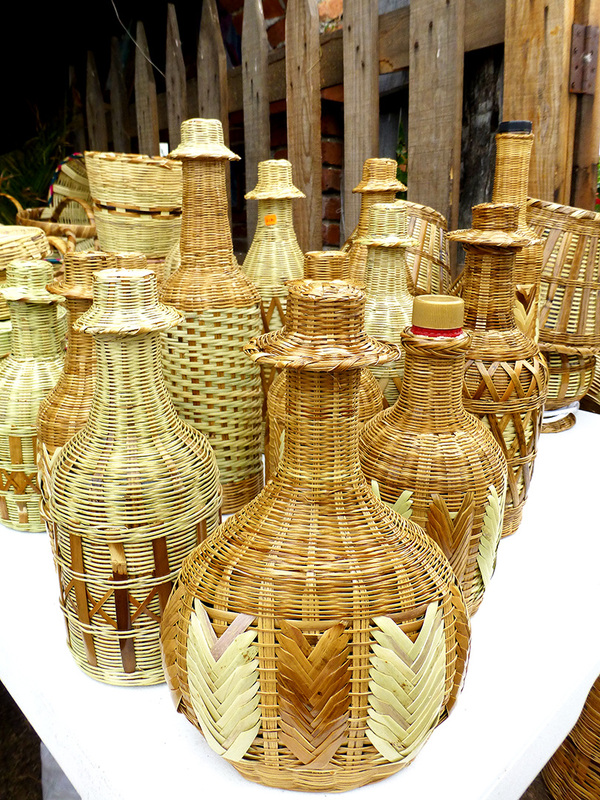 About twenty minutes east of the city, this village was known for their beautiful and functional baskets hand-woven from carrizo (Arundo donax, Spanish cane, Giant cane, Wild Cane, and Colorado River weed), a tall perennial cane that grows along river banks. 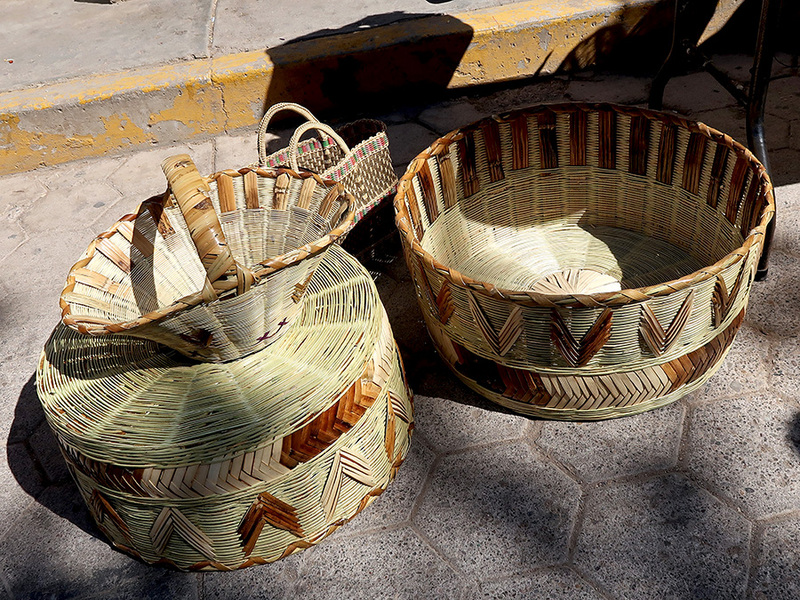 These baskets have traditionally been used as carriers and storage bins since before the Spanish set foot on the soil that became Mexico. 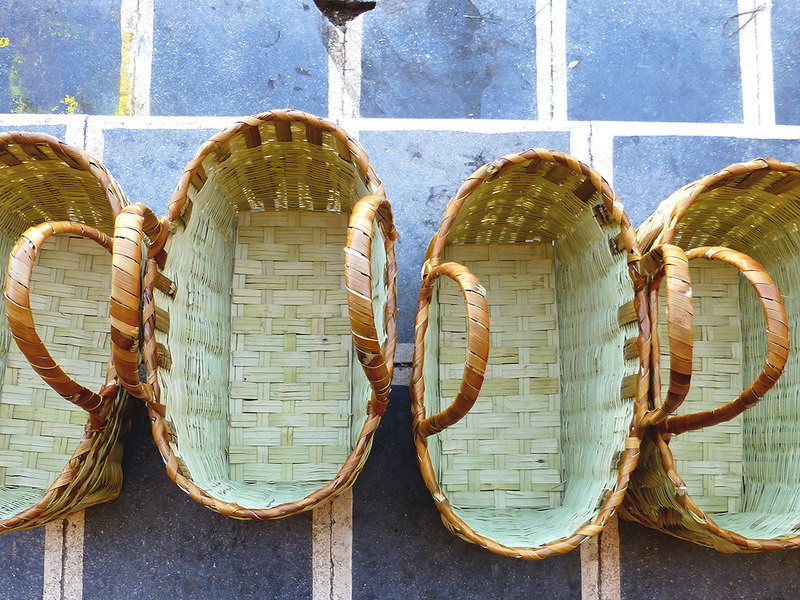 However, their popularity and demand took a nosedive, along with the economy of San Juan Guelavía, upon the arrival of plastic baskets. 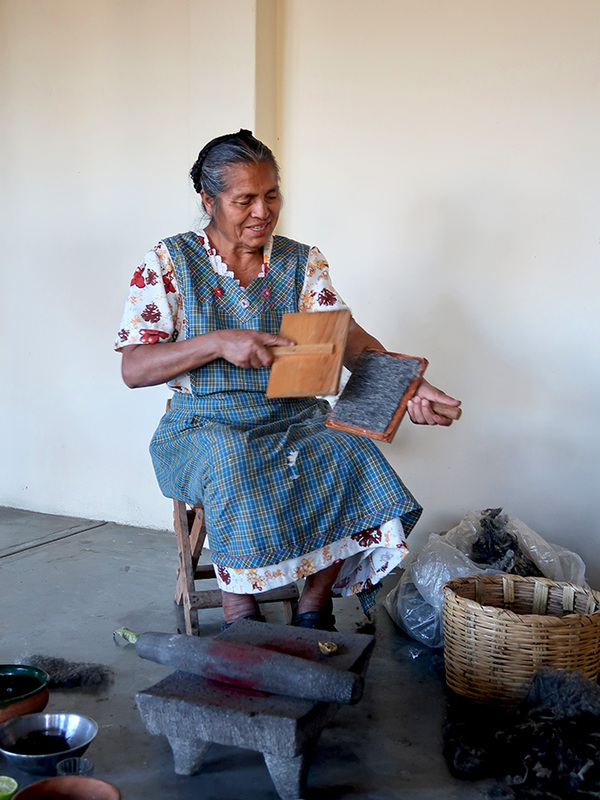 The answer, in 2012, was to promote these artisans, their wares, and their creativity with a fair. 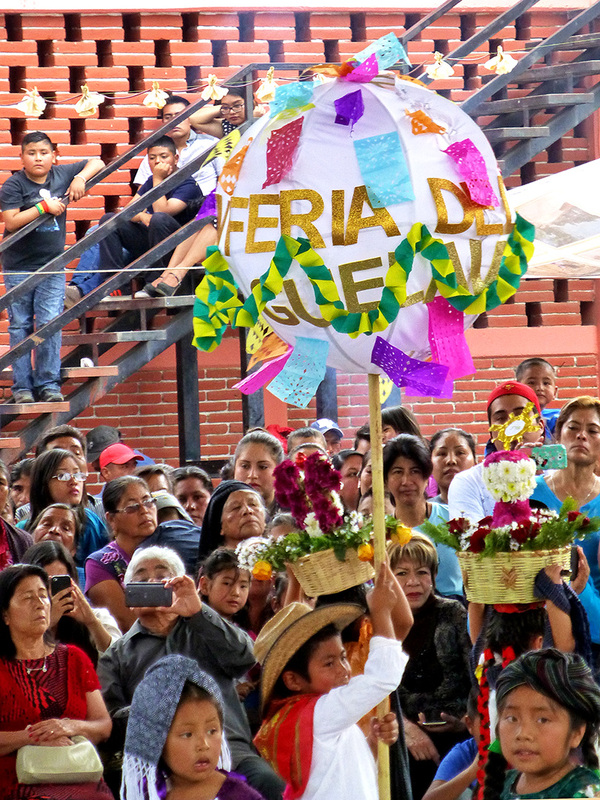 Several days preceding Sunday’s inauguration of the 6th annual fair and sale, there were misas (masses), parades, and fireworks. 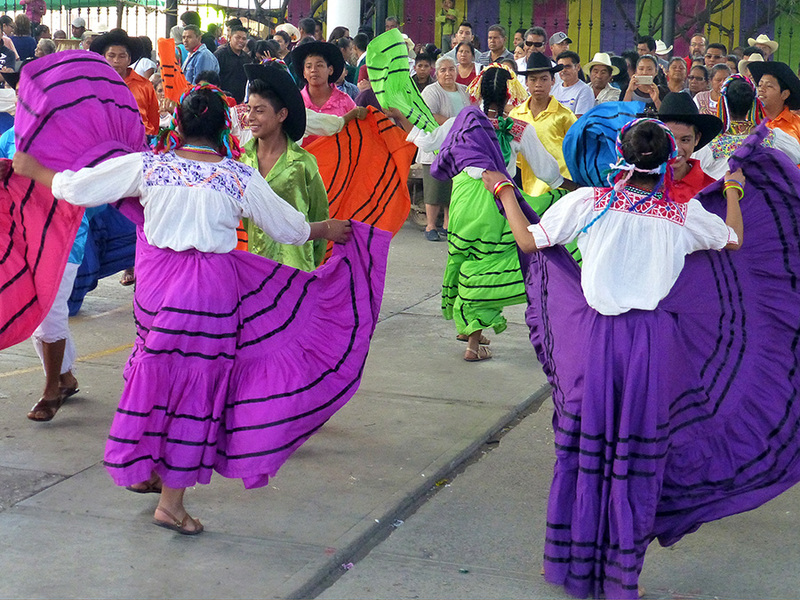 As with all festivals and fairs in Oaxaca, there are folkloric dance performances. And, artfully positioned decorations adorning walls and gates and hanging from the ceiling. 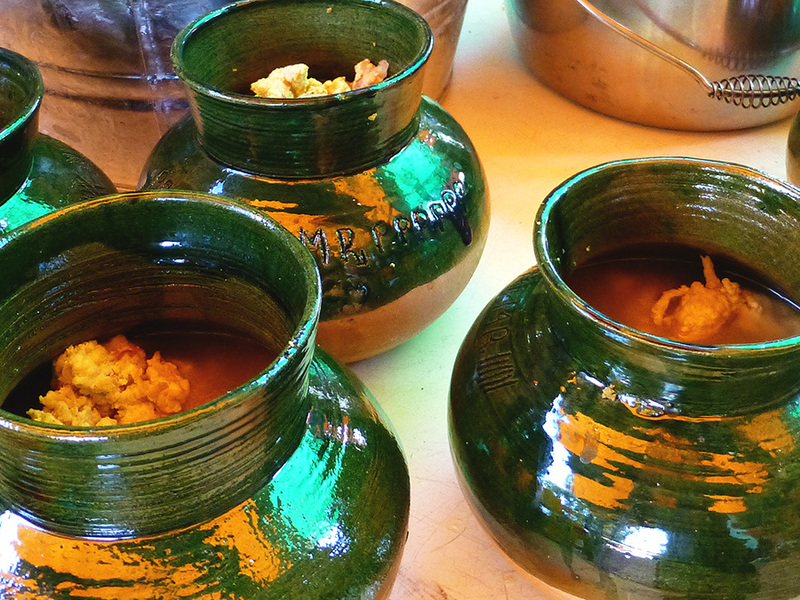 There is barbacoa and tortillas hot off the comal. 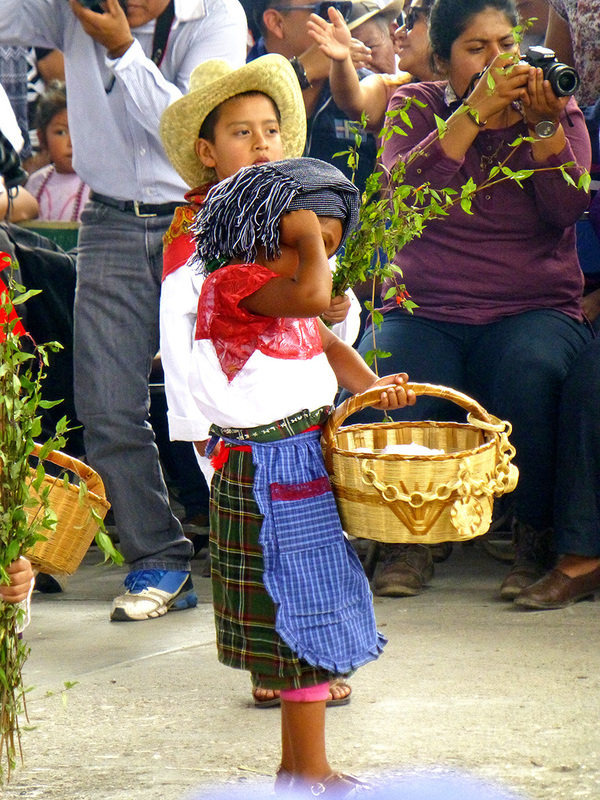 And, impossibly adorable children carrying on traditions. 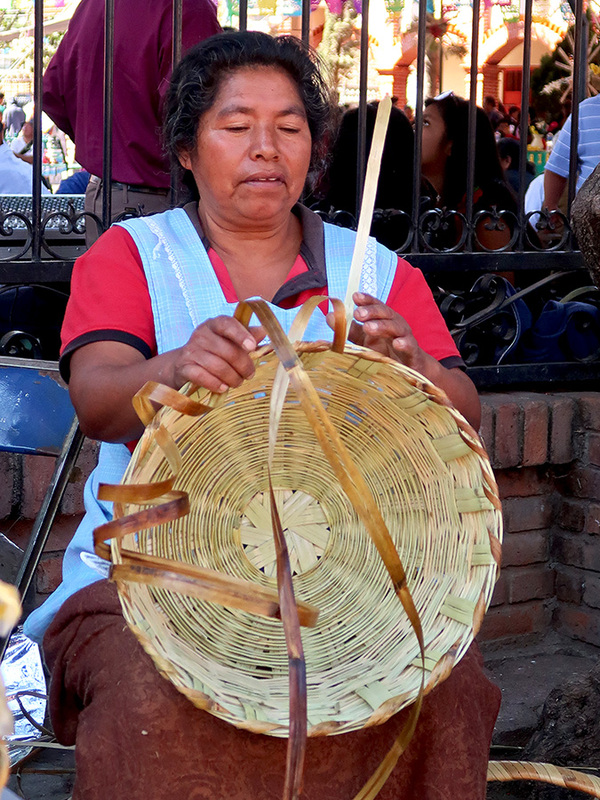 The fair was in full swing when we arrived in late morning (note to self, get there earlier next year) with carrizo woven baskets, birdcages, bottles, and baby cradles piled high. So many choices… Is it too early to begin Christmas shopping? 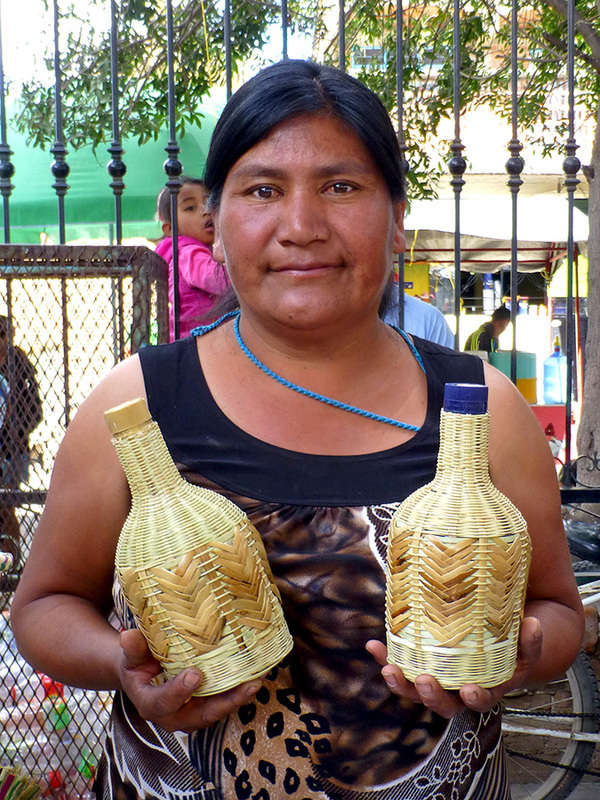 I kept my eye out for Teresa, who made beautiful lampshades for me two years ago. 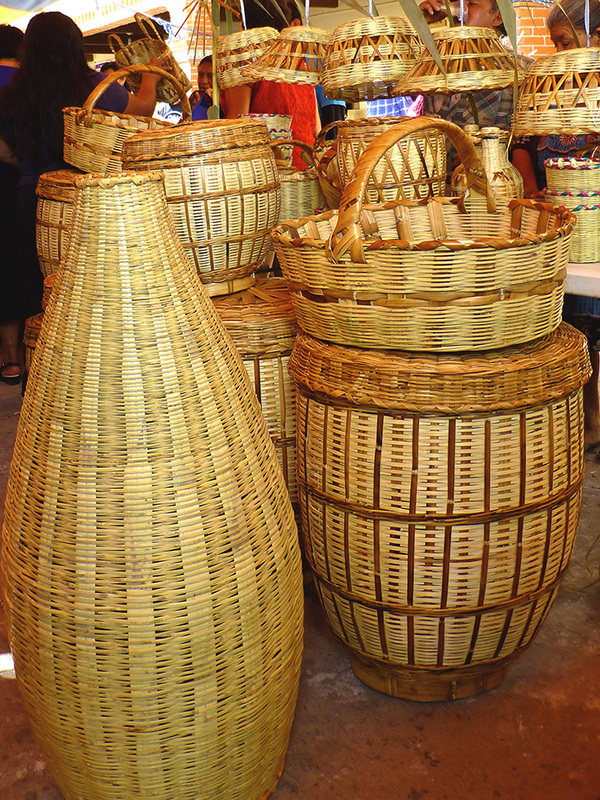 However, it wasn’t easy as there were so many people coming and going and crowded around all of the vendor tables. It took a while but, on the second pass around, I finally found her and her delightful family. There was much handshaking, cheek kissing, and catching up. 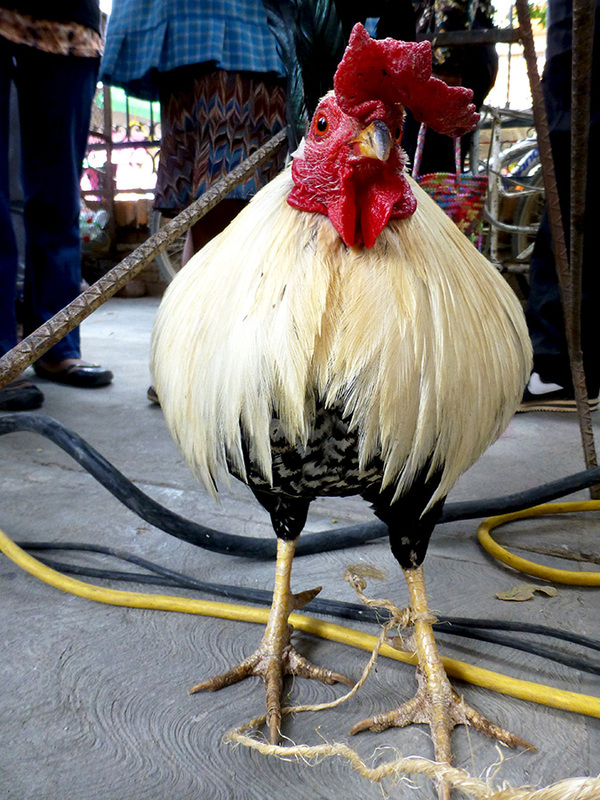 And, more than a little laughter about her fowl friend, who was keeping watch under the table. 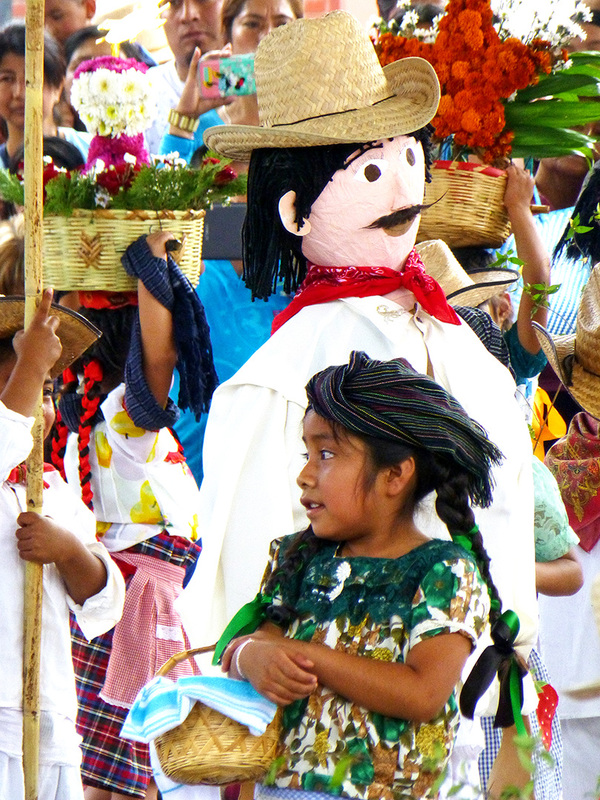 Another wonderful, warm, and welcoming day in one of the villages in the valley of Oaxaca. 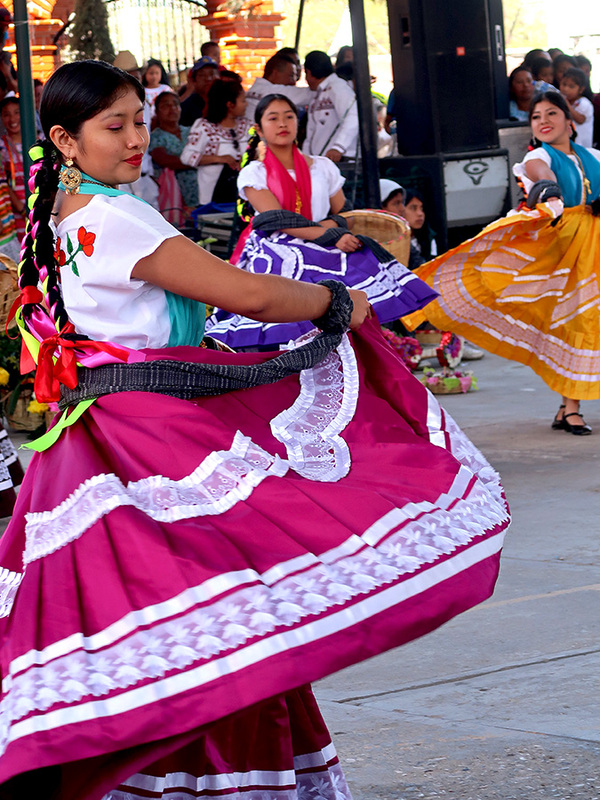 The fair continues this week with a 4-day jaripeo (rodeo) and closes on February 5, so you still have time! 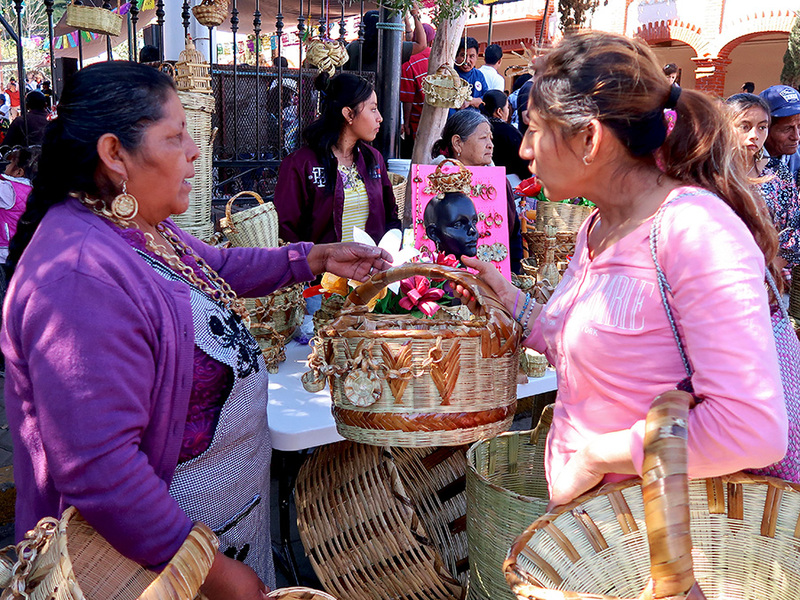 Never fear, if you miss it, these carrizo treasures can often be found at the weekly Sunday market in Tlacolula de Matamoros. 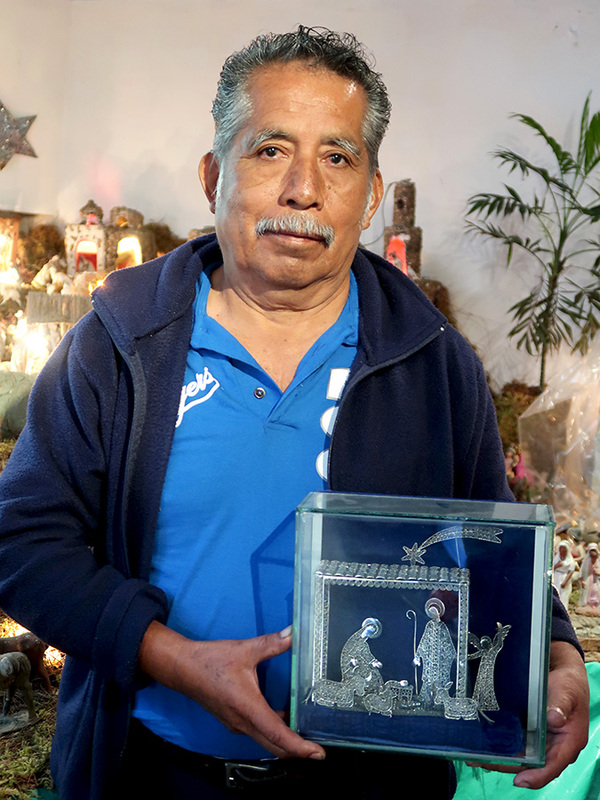 Blogger buddy Chris and I were filled with wonder and gratitude to be invited to the home of Fidel Cruz and María Luisa Mendoza, primero (first) mayordomías (sponsors/stewards), for a 3-day fiesta honoring the Virgen de Guadalupe. 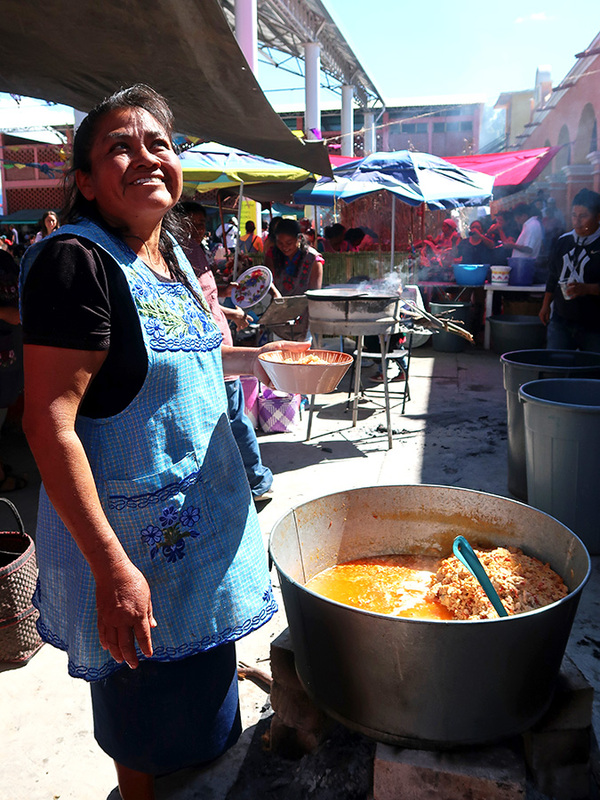 There were orchestrated rituals of seating, music, and dance; a bounty of some of the best cocina Zapoteca food one could ever hope to eat; hundreds of people from small children to great grandparents; and the most amazing warm, welcoming, and communal spirit. It was an amazing couple of days! And these still lifes only begin to tell the story. 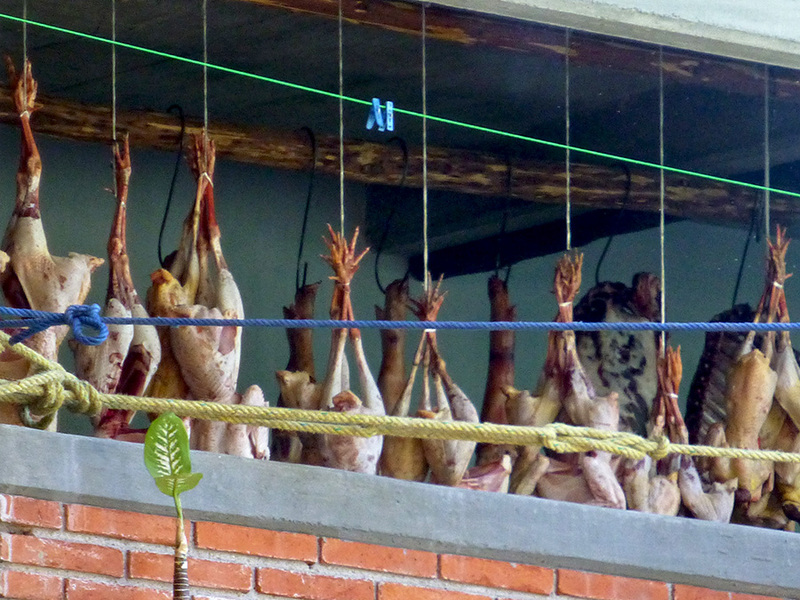 I promise more, but in the meantime, check out Oaxaca-The Year After. 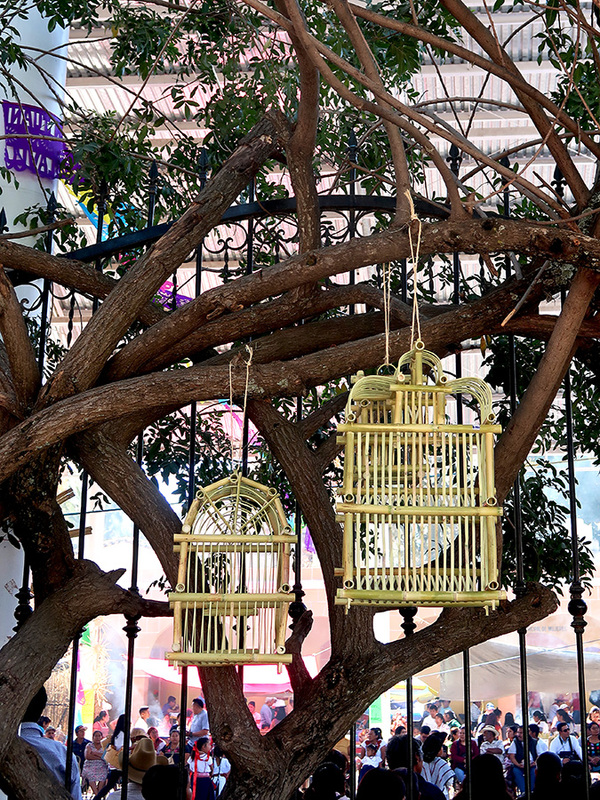 Because last year’s fair was so much fun and I’m still loving my lampshades, blogger buddy Chris and I returned to San Juan Guelavia yesterday for the 5th Feria del Carrizo. Upon arriving, our first surprise was being directed to a dirt estacionamiento (one of my favorite words, means parking lot) next to, what looked to be, a rodeo arena. It was quickly followed by surprise number two: The plaza crowded with people — at least ten times the number as last year! 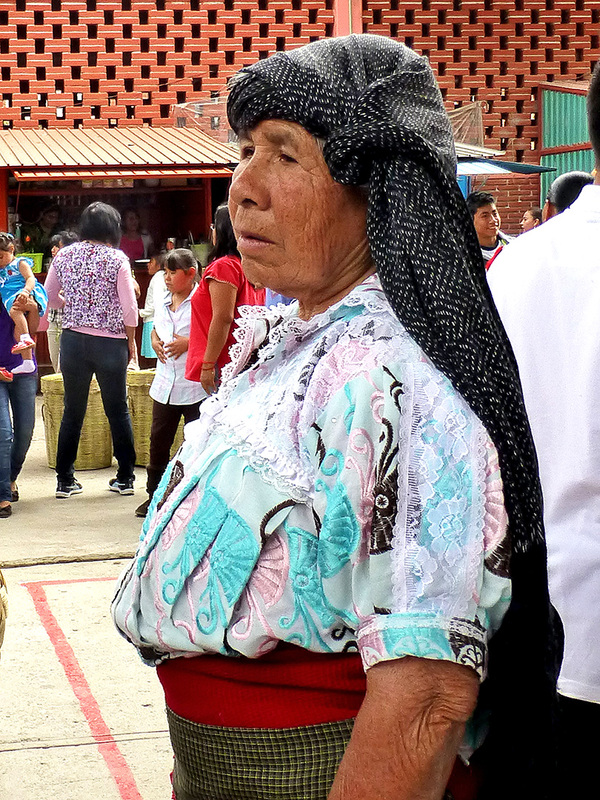 Aside from two friends who were leaving (arms filled with purchases), we didn’t see many extranjeros. 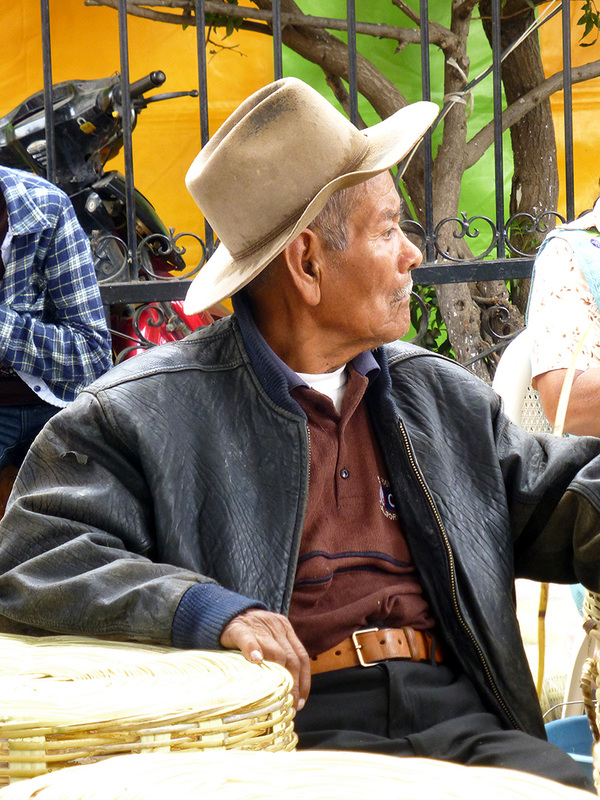 However, we ran into several friends from Teotitlán del Valle and Tlacolula and at lunch sat across from some visitors from Mexico City. We arrived just in time for the official ribbon cutting that signaled the opening of the fair. We didn’t recognize any of the dignitaries, though most everyone else did and masses of cell phones rose high in the air to record the event. 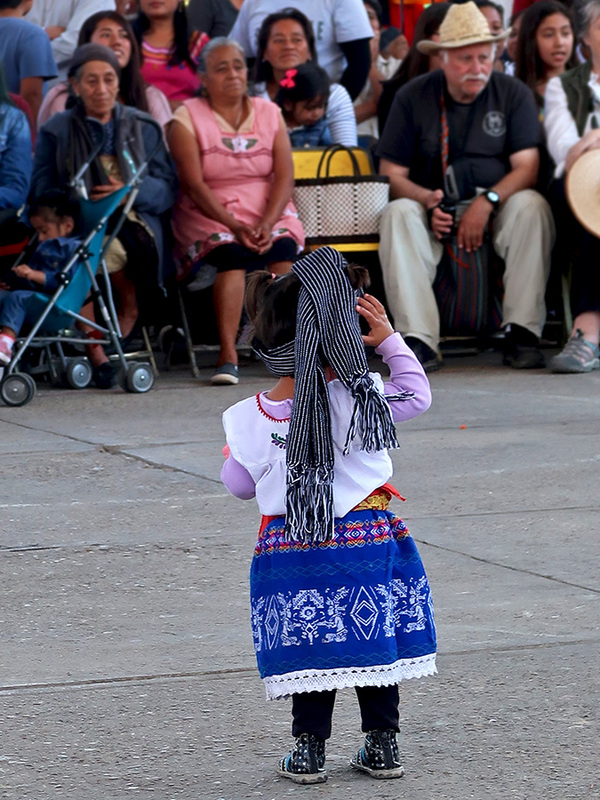 Once the ceremonial duties were done, chairs were pushed back and a children’s folkloric dance group marched in to the familiar music of the China Oaxaqueña delegation heard during La Guelaguetza. 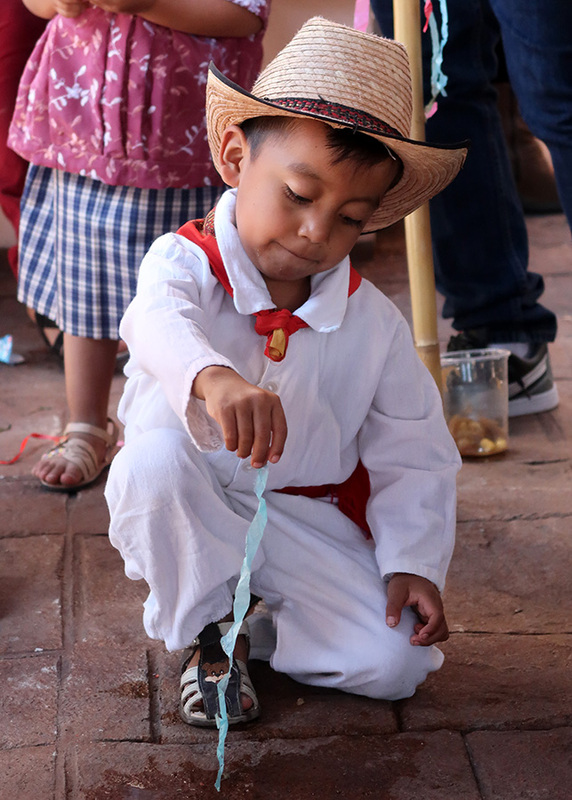 There was even a mini-torito (toritito?) wired with fireworks that was lit, though one of the little girls didn’t appear too thrilled. 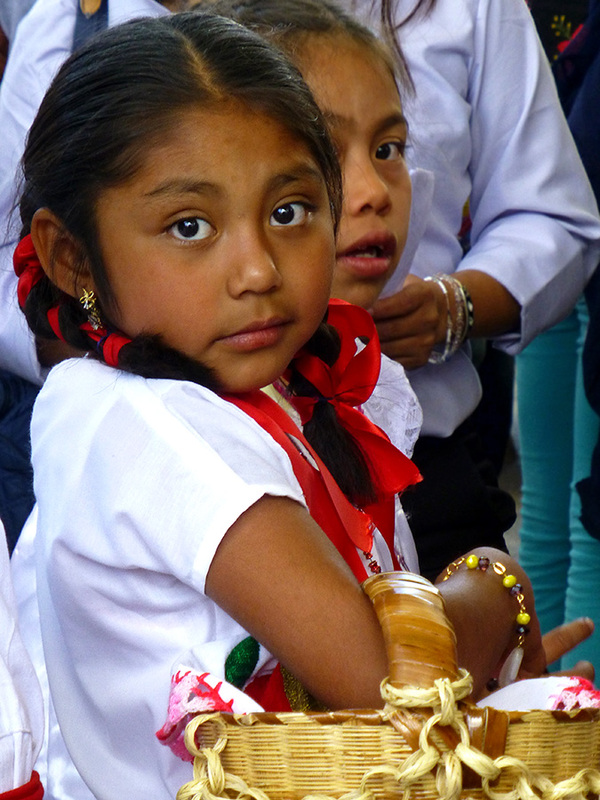 And, as we wandered around, we could hear music that we recognized from some of the other regions of Oaxaca and we caught glimpses of more of the kids dancing. 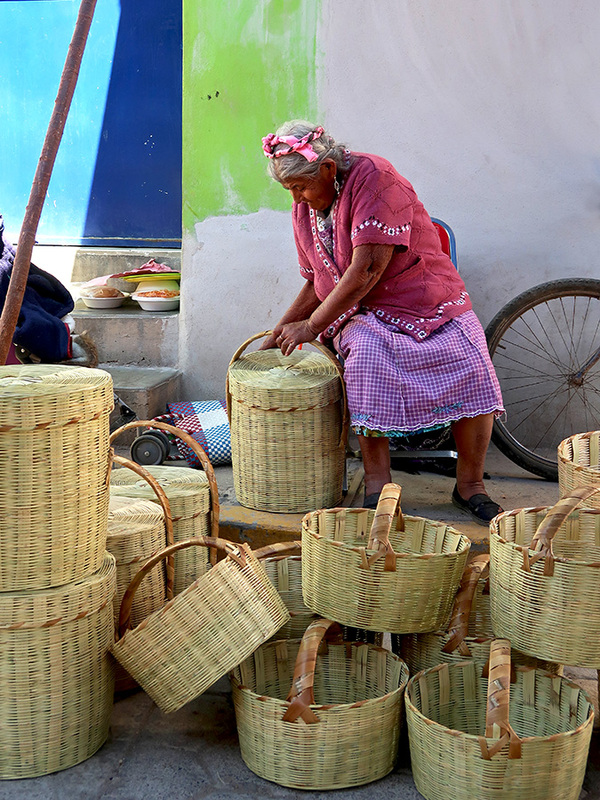 Unfortunately, woven plastic baskets have become a more common sight at the markets in the valley of Oaxaca. 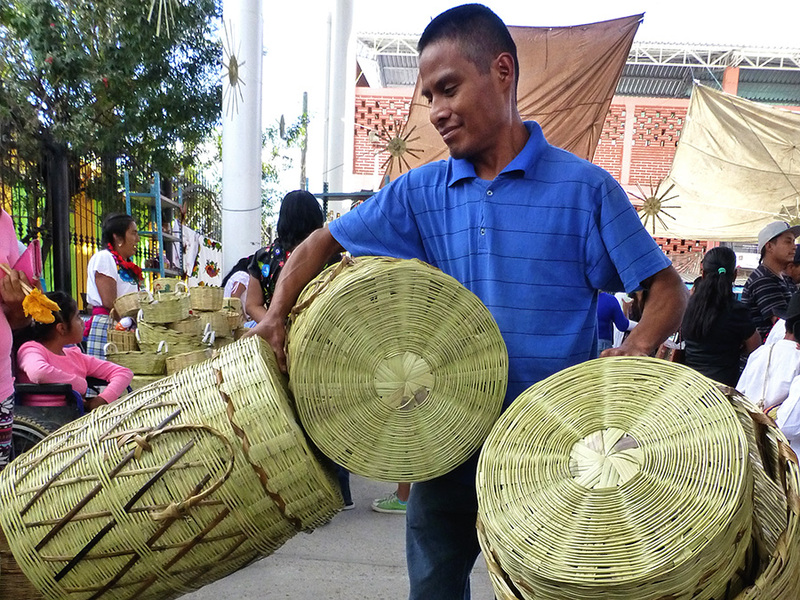 So, the growing popularity of the fair is good news for a community that has seen a decline in the demand for their beautiful handcrafted baskets made from carrizo (aka, Arundo donax, Spanish cane, Giant cane, Wild Cane, and Colorado River weed) — a tall perennial cane that grows along river banks in Oaxaca. 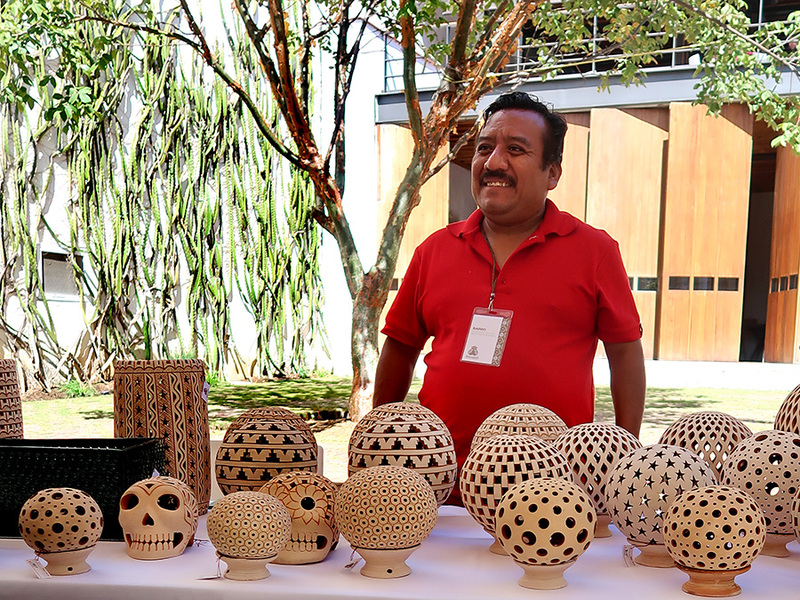 Besides traditional baskets and bird cages, the artisans have branched out to making lamps and shades, weaving decorative bottle covers for your mezcal, fashioning toys, and much more. 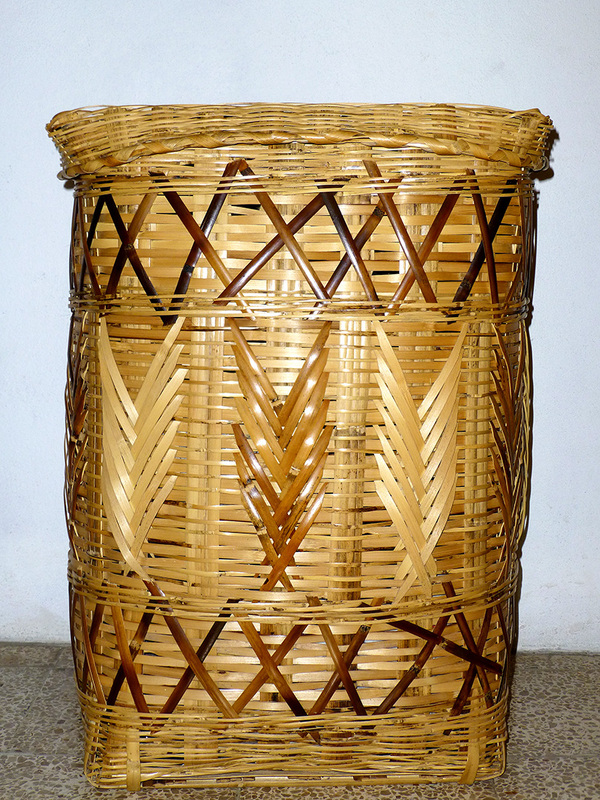 Naturally, I again couldn’t resist and happily came away with a new hamper. 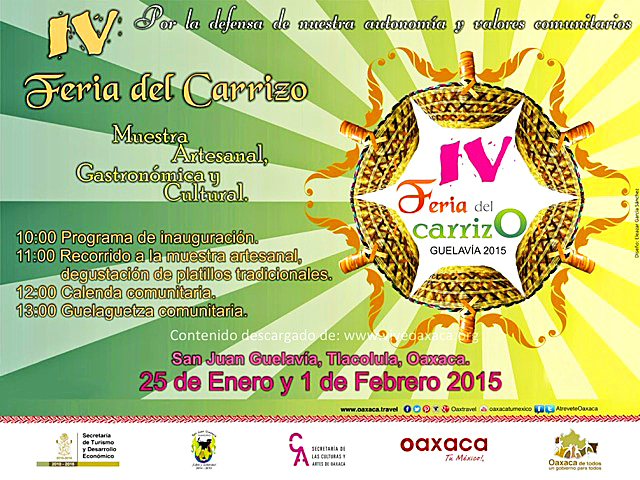 The Feria del Carrizo is also happening next Sunday, February 7. 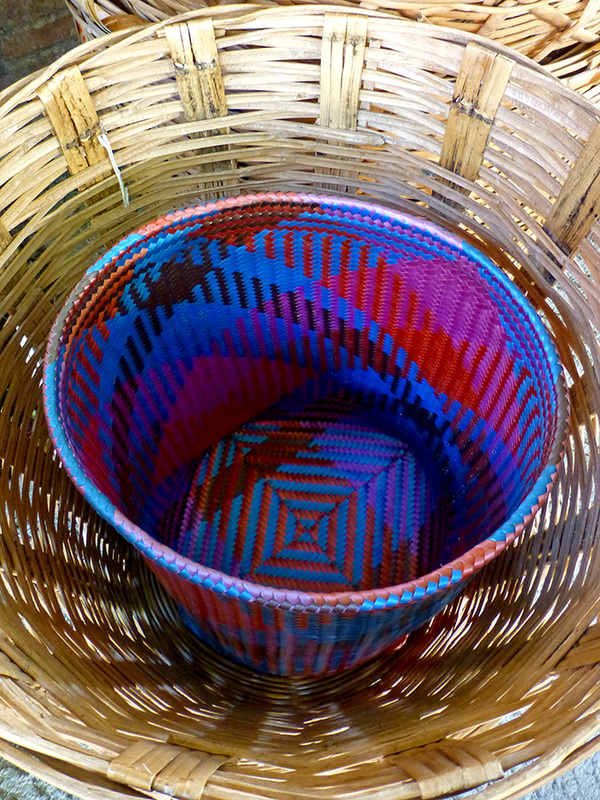 SO, if you are in the neighborhood (San Juan Guelavia is only about 40 minutes east of the city), I highly recommend a visit and be sure to also stop at the tiendas on road into town — that’s actually where I bought my new hamper (above). 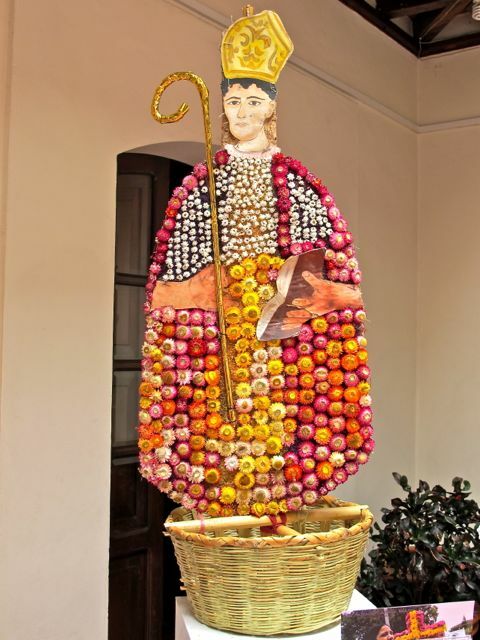 This poster for a Feria del Carrizo arrived in my email inbox a few weeks ago. 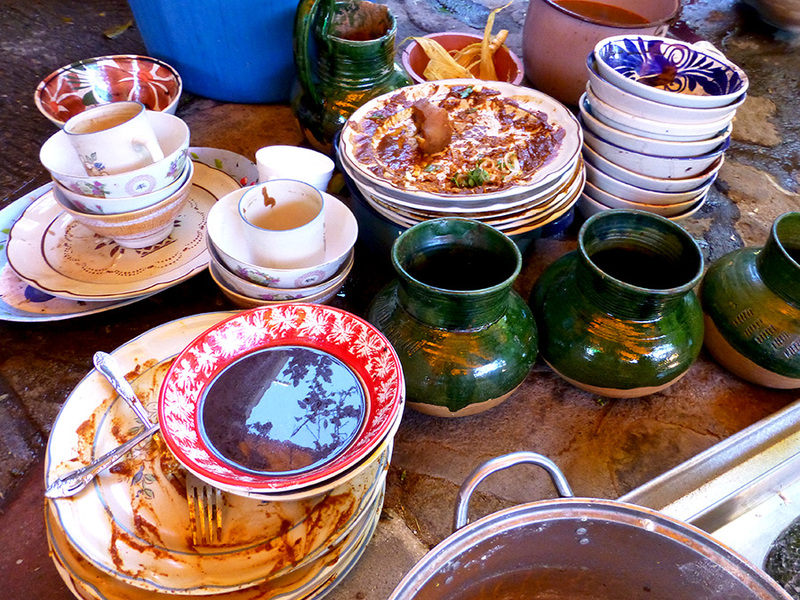 There are ferias (fairs) for just about everything, so why not, carrizo? Plus, I’d never been to San Juan Guelavía, though I’ve noticed the sign announcing its exit every time I’ve gone to or from Teotitlán del Valle and points south on route 190. The uninitiated might ask, what is carrizo? 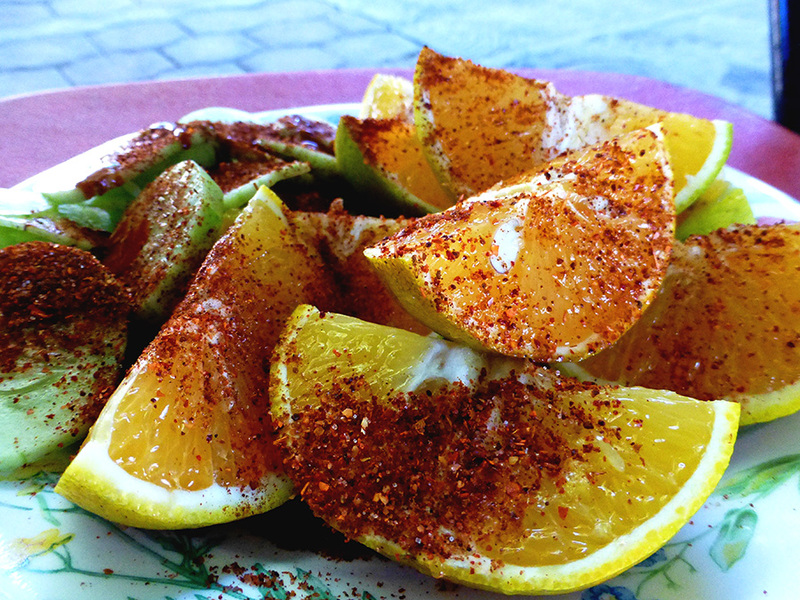 As the Wikipedia entry advises, “Carrizo” should not be confused with “chorizo” the pork sausage. 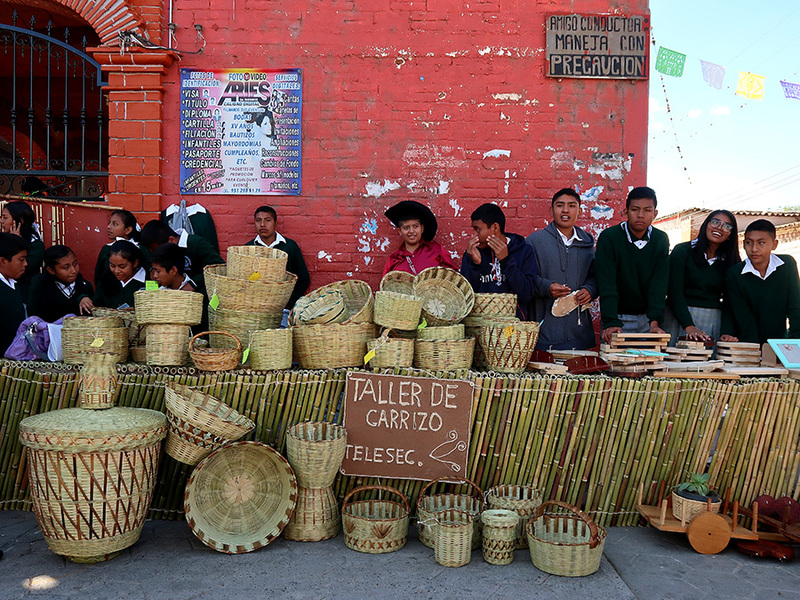 Carrizo (aka, Arundo donax, Spanish cane, Giant cane, Wild Cane, and Colorado River weed) is a tall perennial cane that one can easily spot growing along river banks in Oaxaca. (It kind of looks like bamboo.) In fact, if you see a stand of carrizo, you can be almost certain there is a stream nearby. 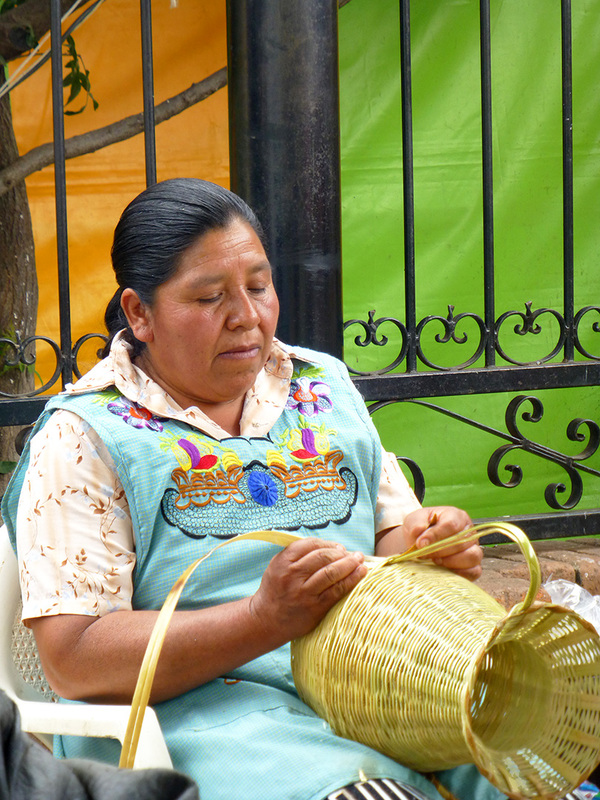 Along with constructing shade structures, window coverings, and mezcal cups, one of its most common uses is in woven basketry. 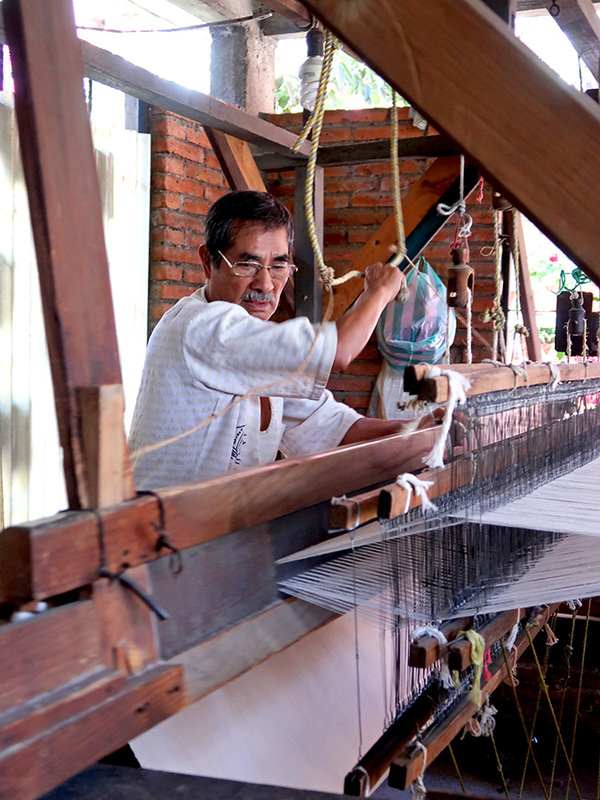 They range from the simple and utilitarian to the elegant shapes and complex designs that make them a works of art. 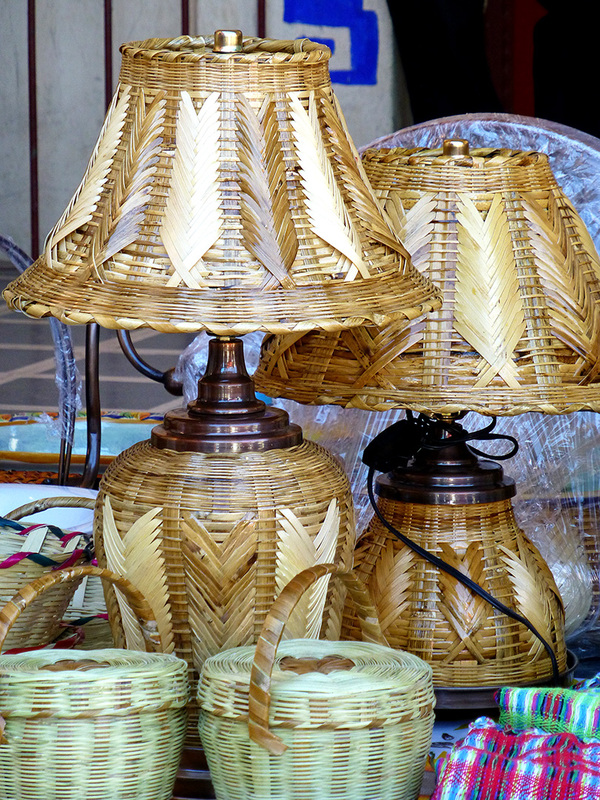 And, to those in search of hard-to-find lamps and lampshades, check out the work of Teresa. With measurements of my cast iron standing lamp (in desperate need of a new lampshade) in hand, I plan to pay a visit, muy pronto, to her studio at 5 de mayo, #48 in San Juan Guelavía. 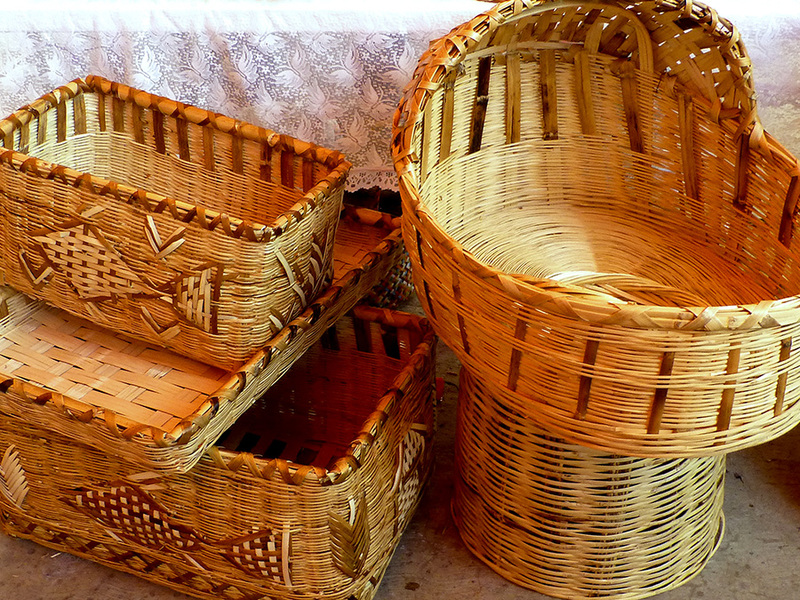 In the meantime, a-tisket, a-tasket I bought a carrizo basket. And, it’s already elicited several compliments! 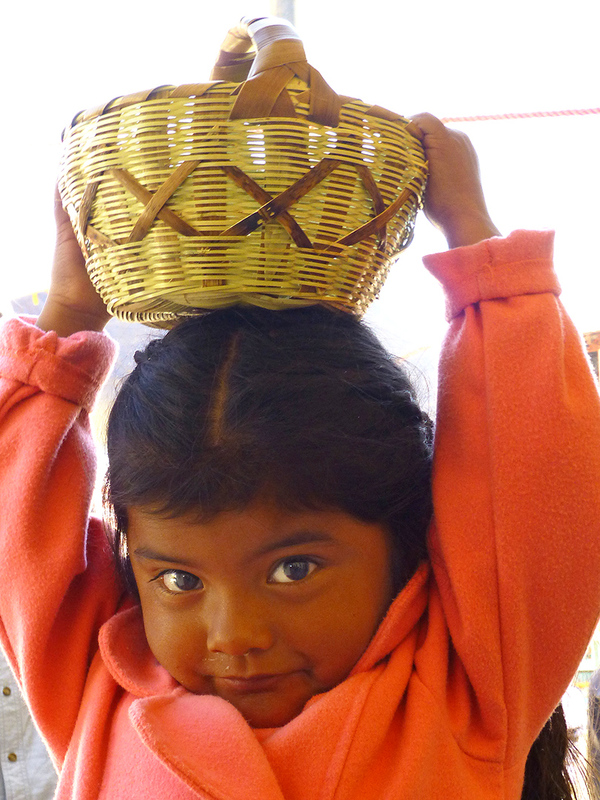 Of course, when the band played, La Mayordomía, this little girl knew exactly what baskets are for! Artistry under blue sky and sun, with delicious food, a terrific all-girl band, surrounded by warm and welcoming people. It was a wonderful way to spend a Sunday. 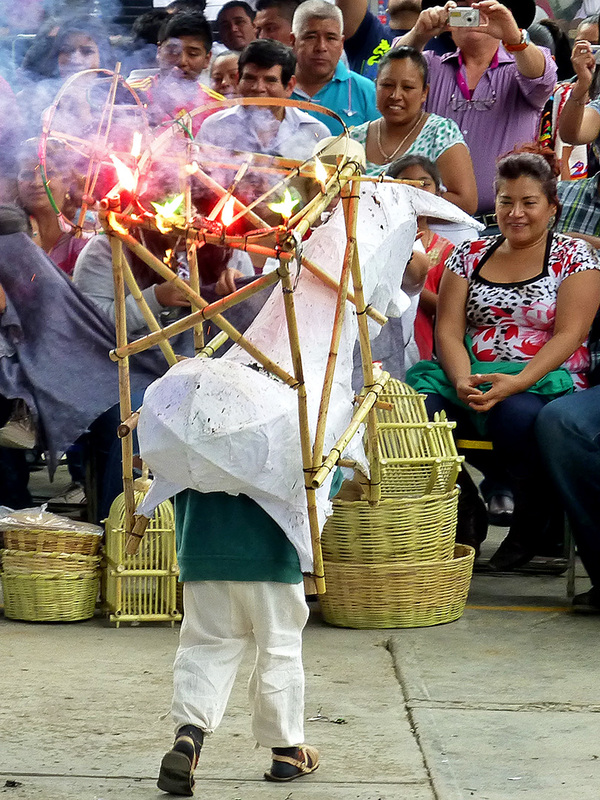 Before returning to honor al Señor de Tlacolula this Friday, I figured I’d better finish posting pics from last Friday’s la Virgen del Rosario calenda. 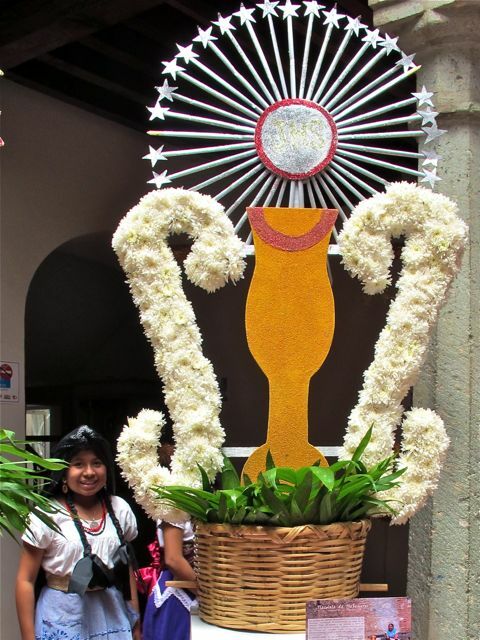 This annual procession slowly winds its way through the streets of Tlacolula de Matamoros. 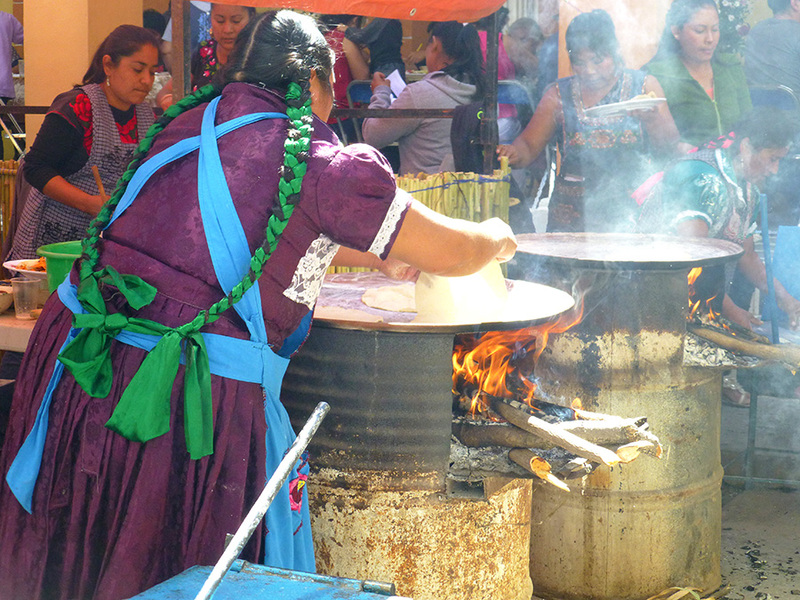 Participants stop at “stations” throughout the village, where religious ritual is performed, rest breaks are taken, and tamales, sweets, and beverages (yes, including mezcal) await. This goes on until after midnight. I don’t know how they do it! It didn’t start that way; I awoke to horrifying news from Colorado. 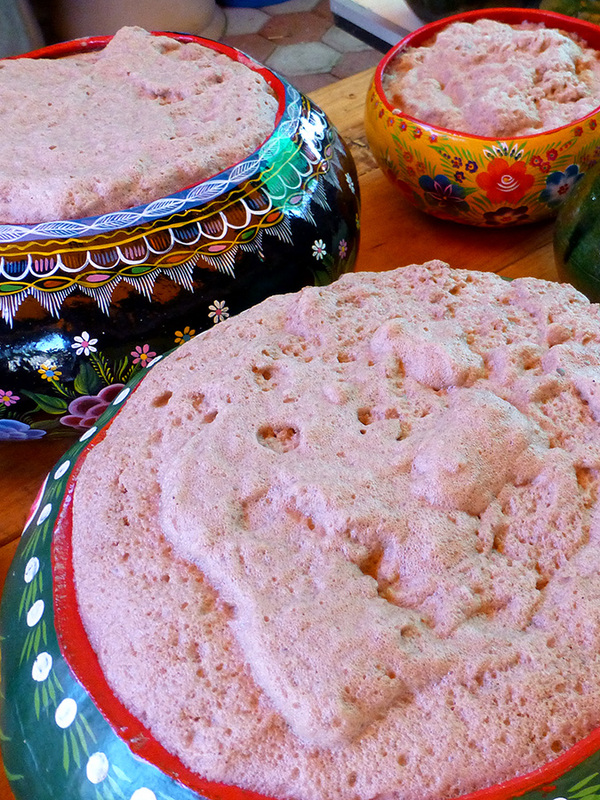 Thank goodness blogger buddy Chris called and the heart that beats in Oaxaca beckoned. 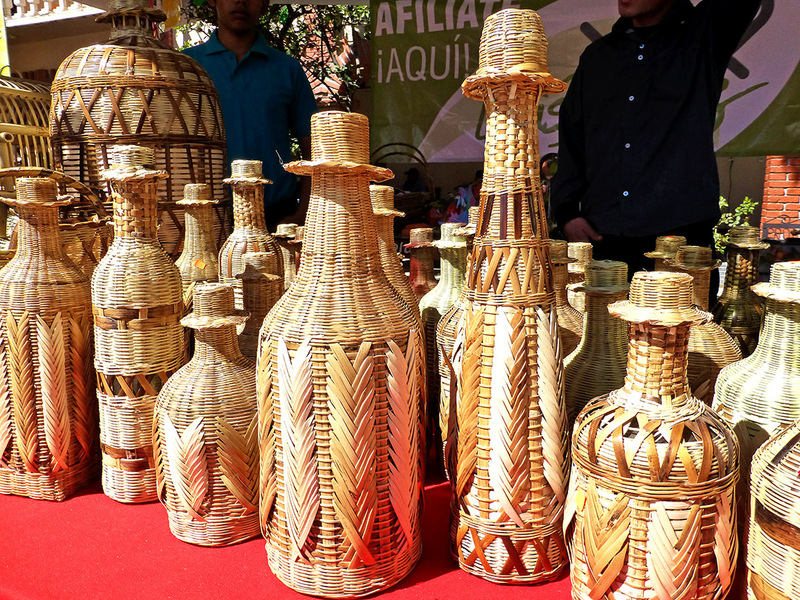 First stop was the “Al Son del Valle,” an exhibition of canastas from 17 villages in the central valleys of Oaxaca. 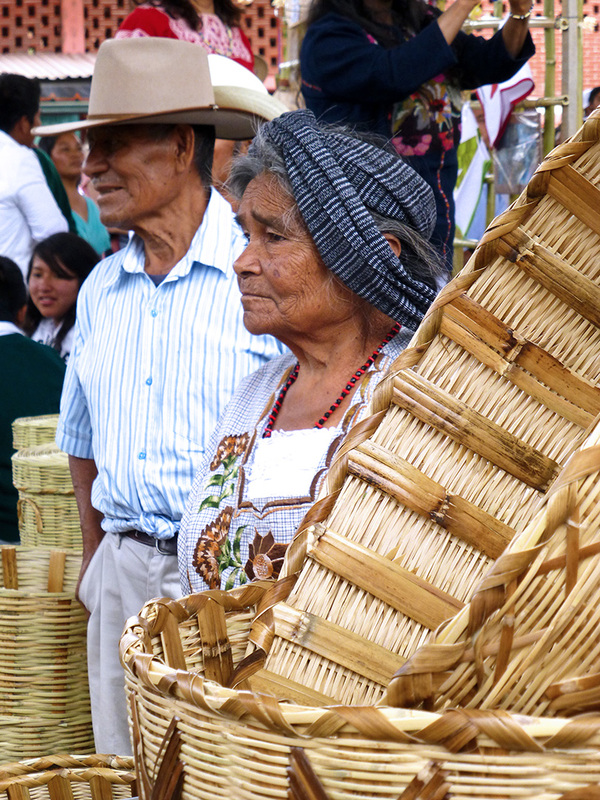 These are baskets that are carried on the heads of women during calendas (parades); you may remember them from previous posts on the convites in Teotitlán del Valle. 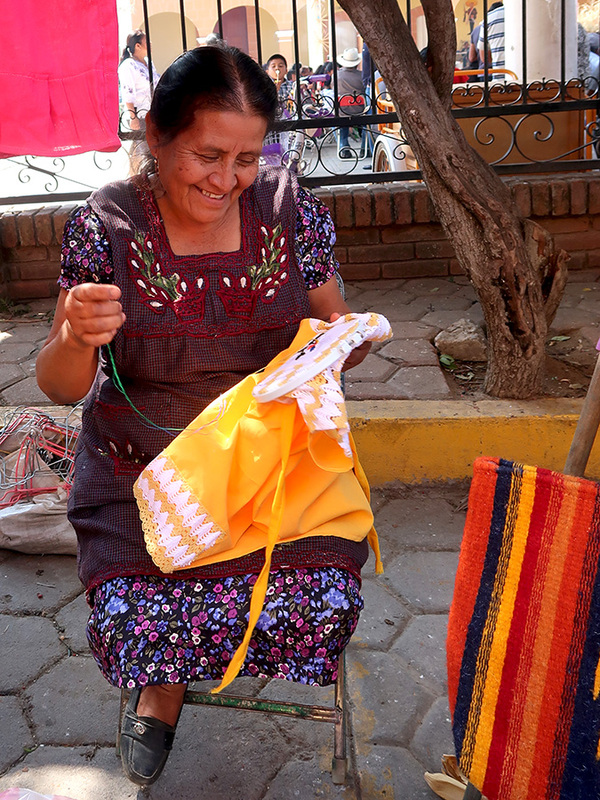 The art of crafting canastas and the traditions and culture they represent have been proudly and lovingly passed down through the generations. 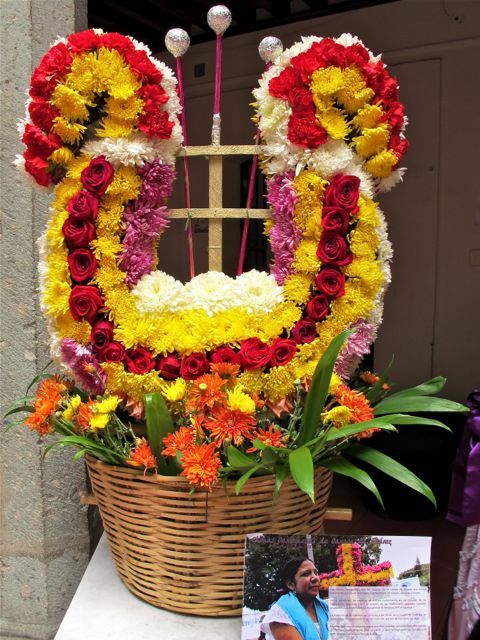 San Antonino Castillo Velasco canasta decorated with Flor Inmortal, the flower that never dies. 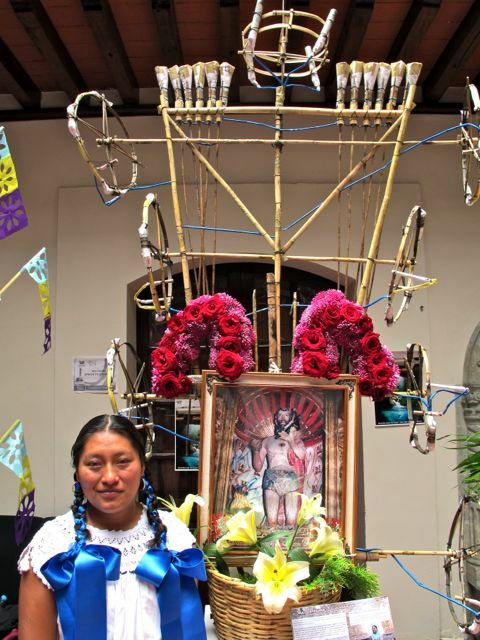 From San Jerónimo Tlacochahuaya, these canastas are lit and become pinwheels of fireworks at the end of a calenda. 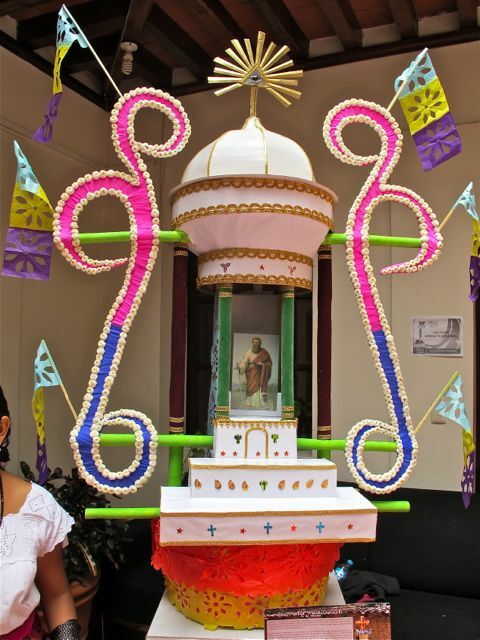 Canasta from Tlacolula de Matamoros. 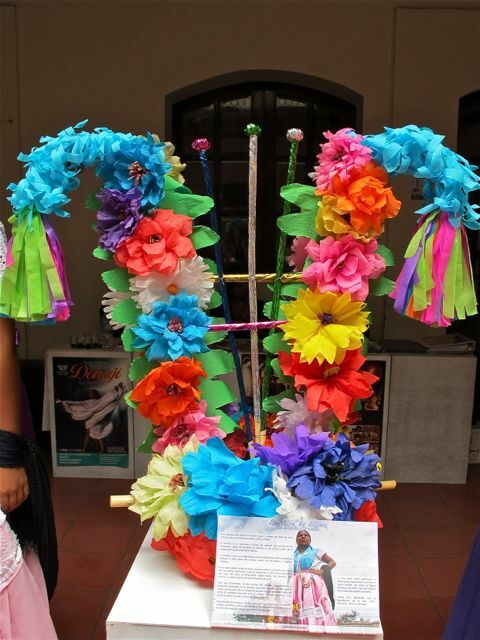 Canasta from Zimatlán de Álvarez made of crepe paper. 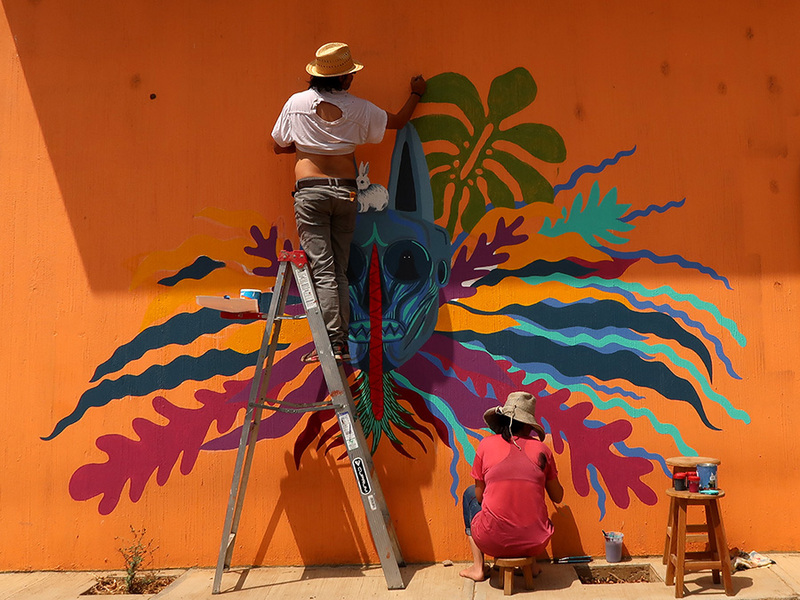 Muchas gracias, Oaxaca, I needed that!